When we talk about a team with a strong midfield, we generally mention Germany, Spain or France but today we analyse that how strong is Serbian central midfield. Nemanja Matic, Sergej Milinkovic-Savic and Luka Milivojevic form an ideal midfield setup. All these three players are coming after an impressive season with their respective sides. Serbia defeated Costa Rico in their first match of the group stages with the help of a stunning free kick from their captain Aleksander Kolarov. 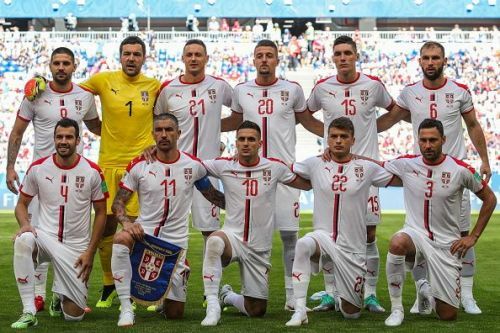 Mladen Krstajić, the head coach of Serbian national team deployed Nemanja Matic and Luka Milivojevic in a defensive position while Sergej Milinkovic-Savic played the role of a no. 10. Matic and Milivojevic are more suitable for a defensive duty while Sergej can be used in both, defensive or offensive positions. 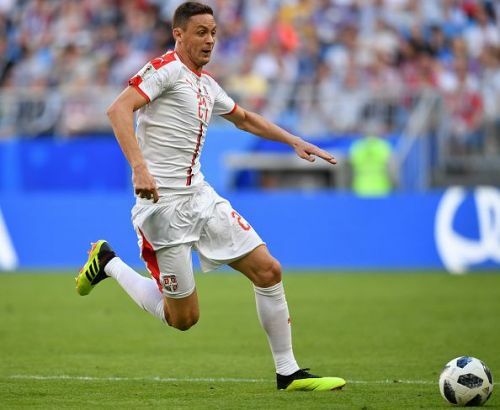 The steel and composure of Nemanja Matic, the pass distribution and stability of Luka Milivojevic with the strength and finesse of Lazio's Sergej Milinkovic-Savic can be a complete package for Serbia. The leader of Serbian midfield. Nemanja Matic had a great season at Manchester United. He was one of the best signings of the year for Manchester United, along with the likes of Romelu Lukaku. Matic had also been a big miss for his former side who finished at fifth place as they were unable to replace him with a defensive midfielder of his calibre in the transfer window. Against Costa Rica, the Manchester United man displayed a commanding performance. He offered protection to the defence and brought more control in the game with his discipline display. Costa Rica's skipper Bryan Ruiz was not able to get better of the midfielder for the whole match. Matic has the quality of displaying these types of performances consistently for both club and country. He will sit back and protect the back four, especially considering the attacking mentality of Aleksandar Kolarov and Branislav Ivanović. The Crystal Palace man had a transcendent domestic season as his side was able to retain the Premier League status after a horrendous start. Crystal Palace failed to register a single point on the table after the first 7 matches. Luka Milivojevic played a major part in Crystal Palace's survival bid. He was the highest goal-scorer of the club, striking 10 times in which 7 were penalties. Though with Serbia, his main duty will be to support Nemanja Matic to control the game from the middle of the park. Against Costa Rica, he rarely conceded possession and was a calm presence throughout. Few players came into this World Cup with more intrigue than Sergej Milinkovic-Savic as he is linked to a summer move to Manchester United or Juventus. The prodigious Lazio's playmaker had a breakthrough season in Italy. He can play as a no. 10, just like he did against Costa Rica. In Seria A, he scored 10 goals this season, creating 45 chances and making three assists. Sergej is strong and can give the perfect support to Mitrovic by making driving runs from midfield. He also tried an audacious overhead kick which almost came off. He can run from box-to-box to create chances and defend when required.